Time for a chicken update I think. 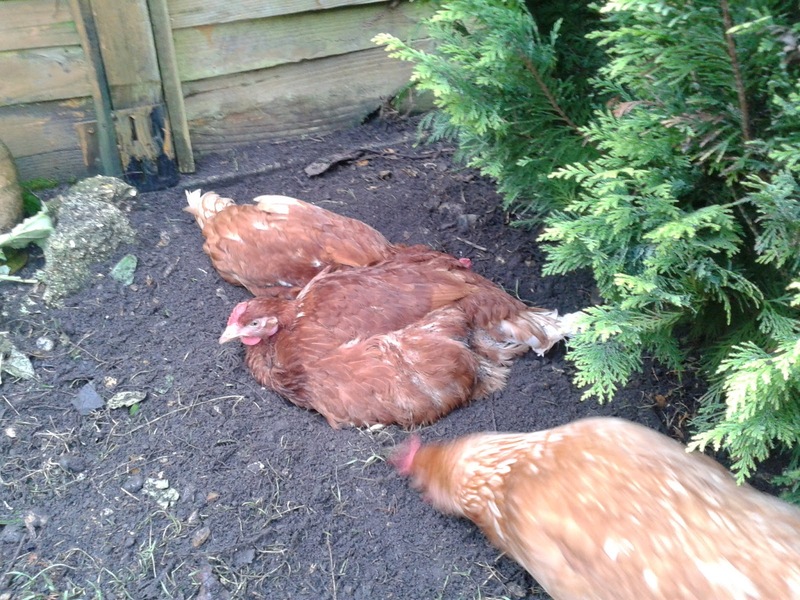 Flora, Aunt Ada and Cousin Judith have been with us for three months now and what a full three months it’s been. Flora has had a dodgy eye ever since she arrived but that seems to be sorted now - after three trips to the vet, two courses of antibiotics and eye surgery to remove a huge lump under the eyelid. Yes, vets do operate on chickens. 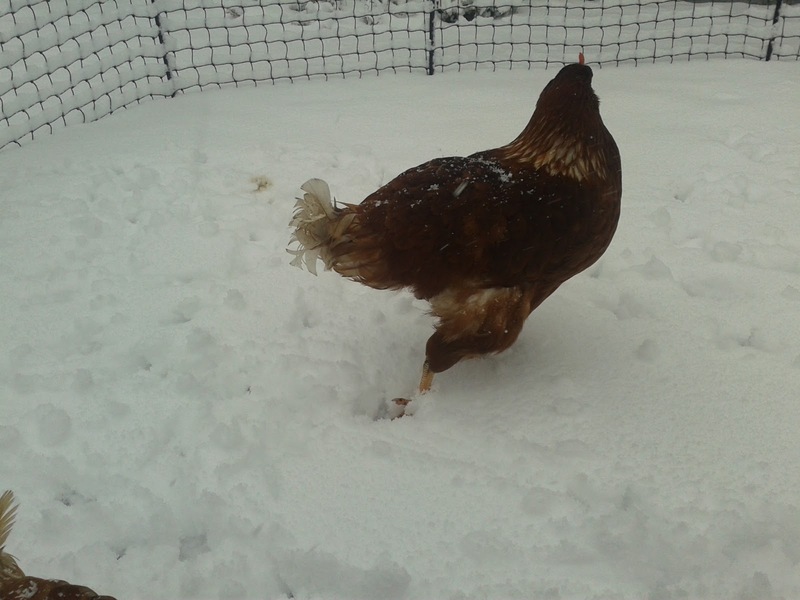 I could have had her despatched; after all, the vet bills would have bought me fifteen more hens, but I guess I’m just too sentimental and wanted to give the old girl a chance. Glad I did as she seems fine now. Apart that is, from her penchant for plucking out and eating Ada’s bottom feathers. 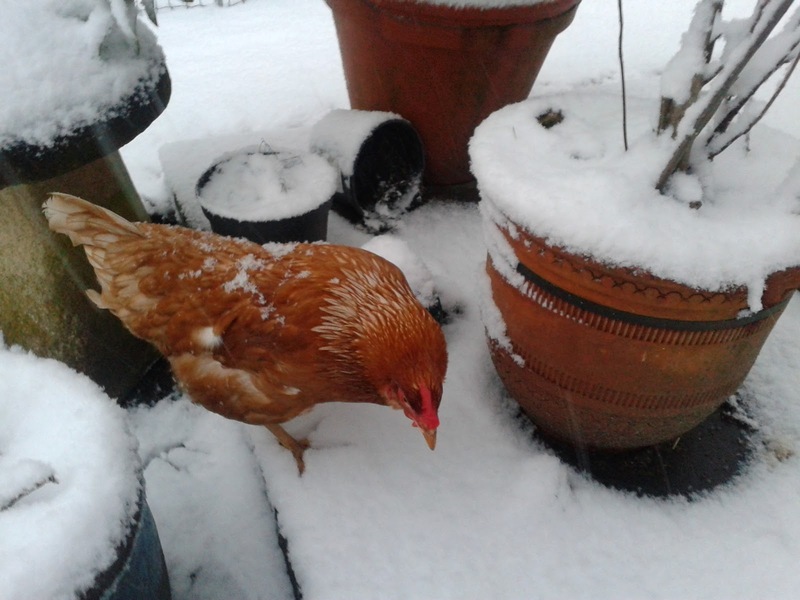 Of course, chickens being what chickens are, Judith had to get in on the act so poor old Ada has been walking around with a denuded behind for a couple of weeks. It doesn't seem to bother her too much. 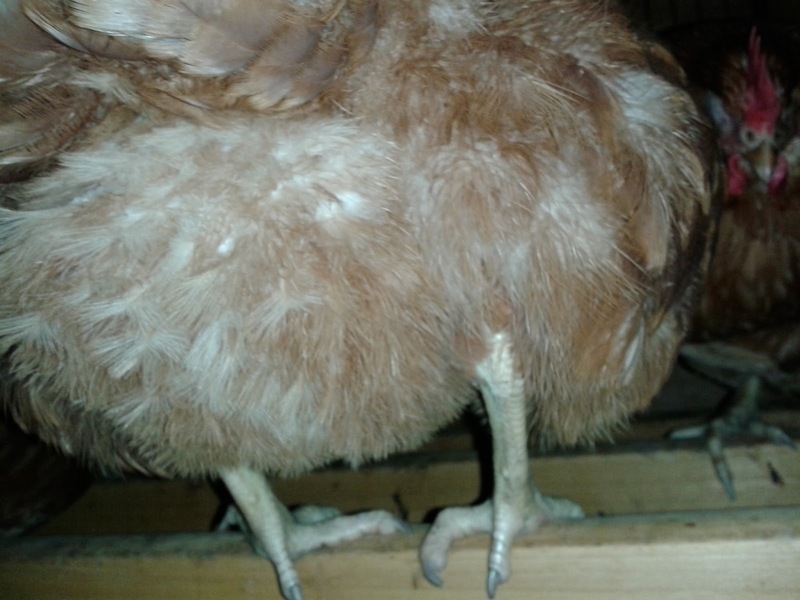 Bought some anti-pecking spray which seemed to work as the feathers were all growing back nicely – she was looking satisfyingly fluffy- until the other evening when I noticed she was bald again. Out with the spray again. Aunt Ada's not sure about the snow; it comes all the way up to her plus fours! when I will do a detailed analysis. You can take the person out of data but you can't take the data out of the person.